My cousin had a second baby girl. 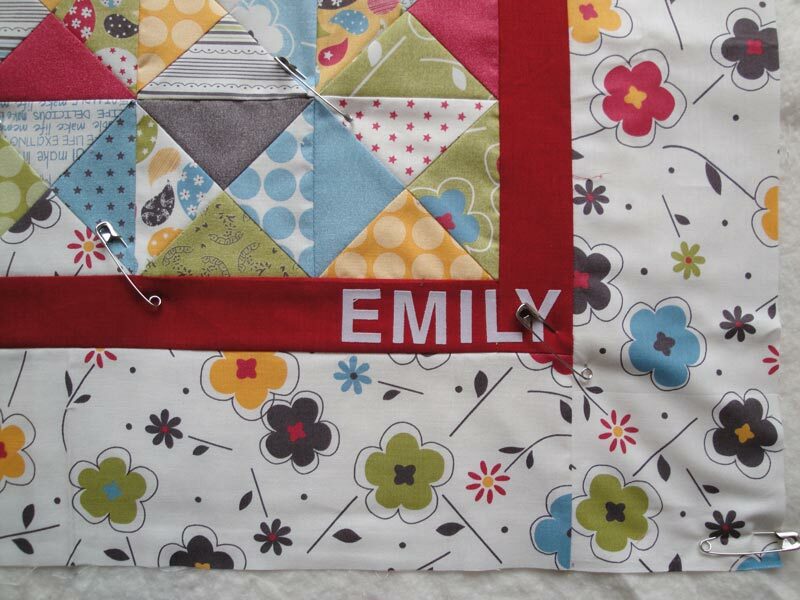 A new baby = baby quilt to welcome the little one. I had two charm packs and yardage of the Make Life fabric line and so combined them into a fairly quick and simple design. 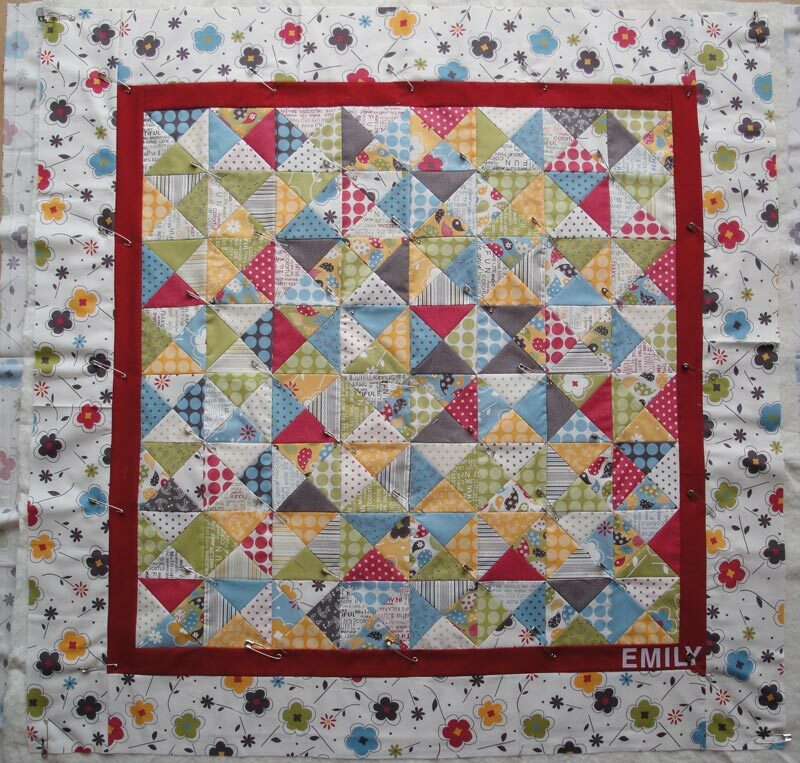 All my quilts thus far, even despite the seeming randomness of the blocks placement, are actually all carefully planned and laid out. This time though I tried to be completely random when piecing the top together. 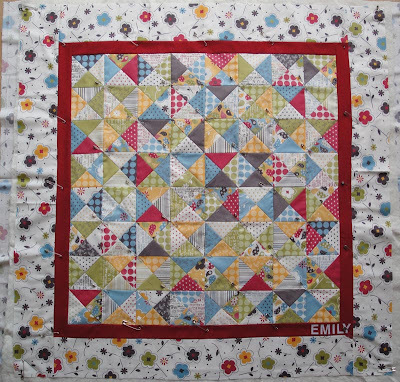 The scattershot of the blocks works for this quilt's design, but my mind keeps wanting to see patterns - hidden stars, broken dishes (a traditional quilt block), or something else recognizable - only there is nothing to see. 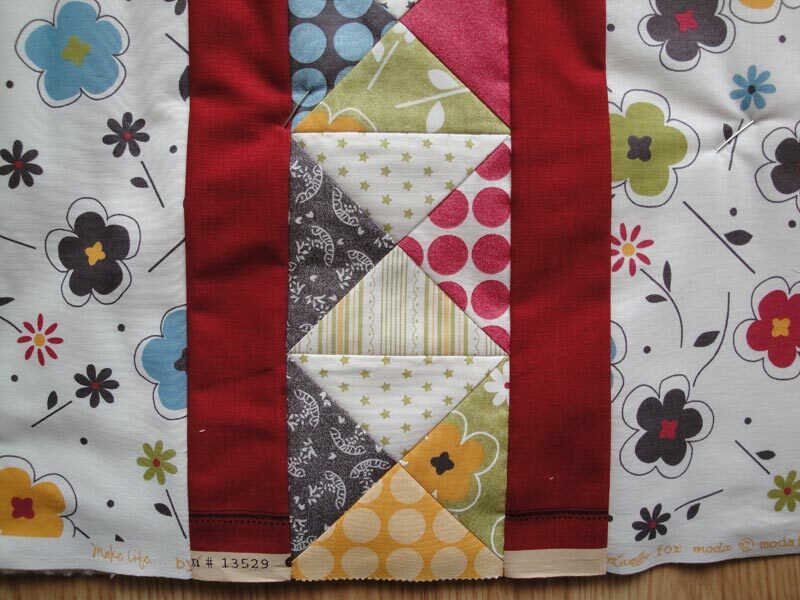 I think this quilt works because the fabric all came from the same designer, so all the mismatch still matches. But in the future, I'll leave spontaneity and randomness to the pros. The other thing I'm trying to get better at as well is to use up as much of the fabric as possible to minimize scraps and help destash. So the backing is a pieced back using the leftover quarter square triangle blocks and the remaining yardage. Happy to report that all that is left over is two blocks and a few scrap strips. A close up of the back and the titles on the selvedges. 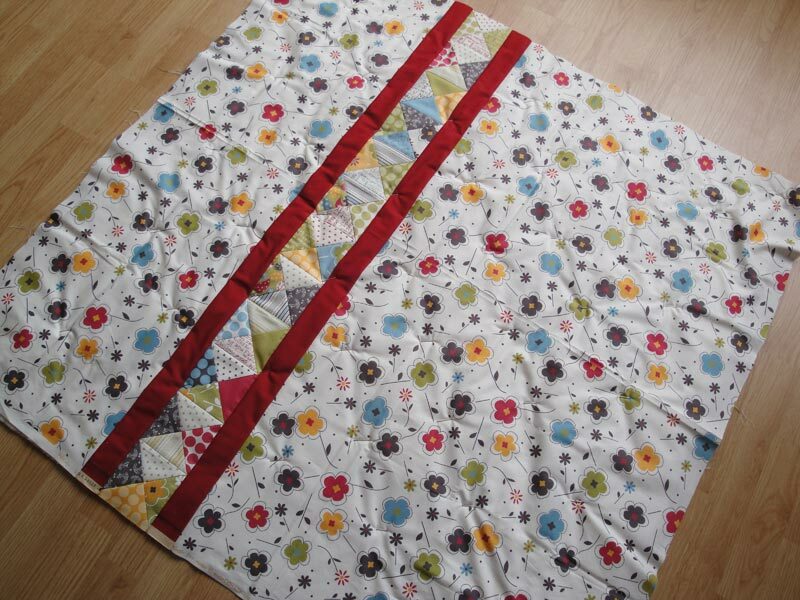 The quilt will finish at 40" square. Someday.